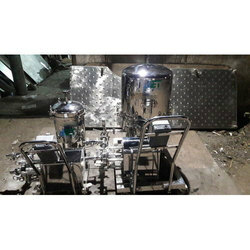 The Zero Hold Up Filter Press for Pharmaceutical Industry manufactured by us is known for their superior quality and yield higher output to our clients. 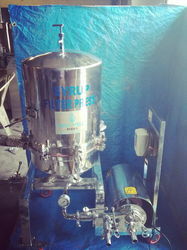 We offer Zero Hold Up Filter Press to our clients. Total Cake Holding Cap: 4.5 Ltrs. -Available in GMP and Non-GMP model. - Gives crystal clear filtration by filtering particles up to 1 micron size. - Scavenger arrangement to remove/drain all the liquid .